Most nonprofit employers offer retirement plans to their employees. 1. Do You Have to File Form 5500 for a Simplified Employee Pension? 2. How Much Money Do I Need to Start a Retirement Account? Retirement benefits can help a nonprofit organization attract the best talent, and most employers in this sector offer retirement plans. But many nonprofits, particularly the smaller ones, fear retirement plan costs and bureaucratic red tape even though low-cost retirement plan options are available with little or no hassle. The Internal Revenue Service shows that nonprofits in 2013 can select from at least six different retirement plans with differing levels of employer involvement. Three-fourths of employees in the nonprofit sector have access to an employer-sponsored retirement plan, according to a 2012 survey of the sector by TIAA-CREF Institute and the Independent Sector website. Of those with plan access, 69 percent had a defined-contribution retirement plan and the remainder a traditional defined-benefit pension plan. Of those with access to a defined-contribution plan, 76 percent said they were enrolled and making contributions. The study showed that just 9 percent of those employed by large nonprofit organizations lacked access to an employer-sponsored retirement plan, but it also said 34 percent of employees in organizations with fewer than 50 employees had no access to an employer-sponsored plan. 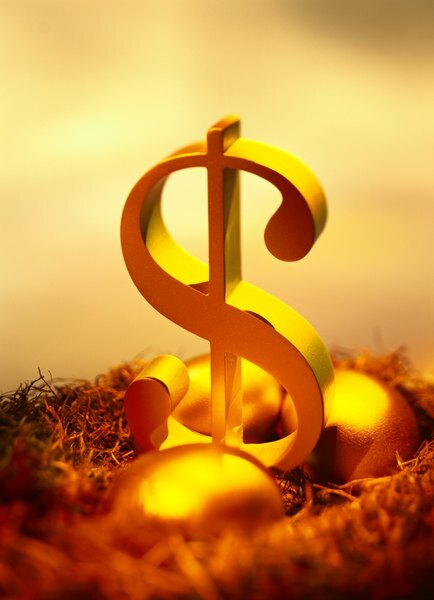 The simplest retirement plan option for nonprofit organizations, according to the IRS, is a payroll deduction individual retirement account in which the employer withholds up to $5,500 annually in IRA contributions from the employee’s pay and deposits the money in the employee’s IRA. This plan can even be offered by small nonprofits. No reports or audits are required, because the employer’s only involvement is depositing withheld funds into employee IRAs. Nonprofit employers who want to contribute to their employees’ IRAs can establish a Simplified Employee Pension IRA -- or SEP IRA -- and contribute to the employee’s IRA up to 25 percent of the employee’s compensation. Or they can set up a Savings Incentive Match Plan for Employees IRA, or SIMPLE IRA, giving the employee an opportunity to contribute up to $12,000 and the nonprofit to match employee IRA contributions up to a maximum 3 percent of the employee’s compensation. These programs can be set up easily and don’t require the nonprofit to file annual reports. Nonprofit employers can also offer their workers defined-contribution plans similar to the 401(k) plans offered by for-profit corporations. Any nonprofit organization can offer employees a 457(b) plan with a maximum contribution limit of $17,500 for combined employee and employer contributions. Charities and other 501(c)(3) nonprofits also can offer a 403(b) plan, to which the employee can contribute up to $17,500 a year. The employer also can contribute, with a limit of $51,000 or 100 percent of the employee’s compensation on combined employee and employer contributions. Nonprofit employers also can offer a traditional employer-funded, defined-benefit pension plan. These programs pay a specified monthly amount when the employee retires. Traditional pension plans require that an actuary annually determine the contribution level needed to provide the promised retirement benefits. Traditional pension plans are subject to audits and nondiscrimination testing.